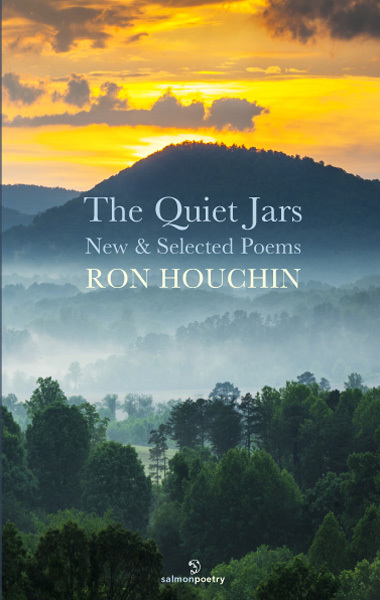 The seventy poems of this New and Selected collection by award-winning Appalachian poet Ron Houchin base themselves on a life within the spirit of place on the banks of the Ohio River. They include a section of all new work combined with other relevant poems of lived-experience from his five previous volumes and three chapbooks of poetry published in Ireland and the US. Offered in nearly chronological order, the poems work memoir-fashion toward insight and understanding of the life revealed at the banks of the historic river French fur trappers called La Belle Rivière in the foothills of the oldest mountain range of North America. Ron Houchin writes from his home on the Ohio River across from his hometown, Huntington, West Virginia. He taught in public school for thirty years in southernmost Ohio. He has five previous books of poetry, and his work has received notoriety, including Paterson Prize and Pushcart Prize nominations, as well as an Appalachian award for poetry Book-of-the-Year. 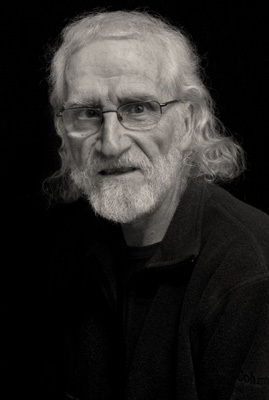 He travels often to Ireland where his work frequently appears in Poetry Ireland Review and The Stinging Fly. His poems have been featured in a wide variety of U S venues, such as Five Points, Birmingham Poetry Review, Valparaiso Poetry Review, Verse Daily, The New Orleans Review, Poetry Northwest, Puerto del Sol, The Southern Poetry Review, Hillbilly Solid (Radio WMMT) and others. His poems have appeared in Irish and American anthologies: Dogs Singing: A Tribute Anthology, Salmon: A Journey in Poetry, Motif I and II, and We All Live Downstream. He reads and teaches in writing workshops on both sides of the Atlantic. Salmon published his first book in 1997.
their cuds and shoving out manure. and left a little red pool. up and let it leap into the weeds. It leaked a little oil in his palm. and was driven off to school. I am still that kind of fool. stalked up the McMurty fields. he still did nothing, as if disbelief were a sufficient dam. sucking hooves, clouds locked into their docks. The temperature dropped; sky melted toward Christmas. in the horses’ hair; ice landed in their lashes. have run far from the stable of memory. there is no such thing as lost.